"Our legacy Major League Baseball agreement will sunset in fiscal 2013," a Take-Two spokesman said, meaning in the coming 12 calendar months. "MLB 2K12 is our last offering under that agreement. At this time, we have no further comment." While that language would seem to leave open the possibility for a new agreement, in a conference call with investors today, Take-Two said it expects the losses associated with the game to be 50 percent less in the coming fiscal year, and zeroed out in the one after that, strongly indicating the expiration of the series. Kotaku asked directly if Take-Two or 2K Sports was in any discussion to extend its agreement and did not receive any answer. MLB 2K was not on its list of anticipated releases for the coming fiscal year, mimicking the quiet deaths shown to 2K Sports' NHL and College Hoops series. Take-Two's seven-year pact with Major League Baseball, a deal cut by a previous management regime, was believed to cost the company $30 million dollars as the series never found consistent critical or commercial success. Take-Two chief Strauss Zelnick had long indicated that the company would not renew the deal with MLB, calling it a money-loser the company had no interest in. The company's strategy, increasingly, is to produce high quality offerings on franchises it wholly owns, and MLB 2K represented neither. The move means NBA 2K—which Take-Two said by itself made 2K Sports profitable in the past fiscal year—is 2K Sports' only remaining annual sports title. The label published Top Spin, a tennis simulation, in 2011 but it was never an annual series. 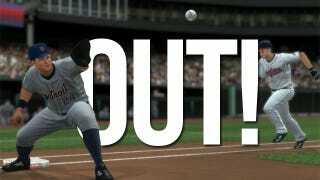 It also means there could be no Major League Baseball simulation title for the Xbox 360 next year. 2K Sports had the exclusive rights to develop and publish third-party console games. This effectively made it the exclusive title on the 360, as Microsoft did not publish its own game. Sony produces its own for the PlayStation line, the acclaimed MLB The Show. EA Sports publishes a Major League Baseball-licensed Facebook game but is expected to sit out on console titles until the next generation of hardware arrives. Kotaku has reached out to EA Sports for comment.